Thought that Google rules the world? Apparently not. In China, the search engine Baidu controls around 80% of the search market. And Google? A mere 19%. That is because Google abandoned their attempt to do serious business in China last year. Google’s reasoning was that the Chinese government’s extreme level of online state censorship violated their company ethics and goal to share information openly worldwide. Now, Microsoft’s search engine Bing has stepped up to the opportunity vacated by Google in China. Baidu recently announced an agreement with Microsoft which equates to Bing powering some searches made in English on Baidu. In effect, this means that results will be combined with the Baidu results for English language searches. The partnership is aimed at increasing Microsoft’s small web presnce in the biggest internet market in the world. This service is expected to start later this year. There have been endless attempts from other search engines, especially Bing and Yahoo, to beat Google. 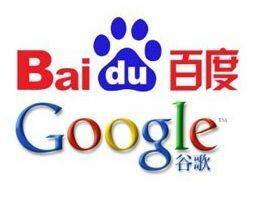 With the growth of the Chinese market, I do wonder if Baidu will take over Google someday. I guess Microsoft is heading in the right direction then. What do you think?